The exact solution of the BCS Hamiltonian with non-degenerate single particle orbits was introduced by Richardson in the early sixties. Although it passed almost unnoticed, it was recovered in the last decade in an effort to describe the disappearance of superconductivity in ultrasmall superconducting grains. Since then it has been extended to several families of integrable pairing models, the Richardson-Gaudin models. However, only the rational family has been widely applied to mesoscopic systems where finite size effects play an important role. 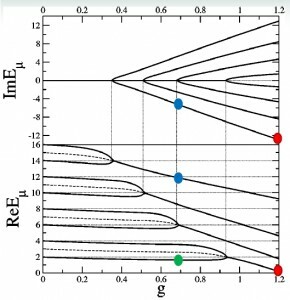 Even in the thermodynamic limit, the exact many-body wavefunction provides a unique view to the Cooper pair structure in the BCS-BEC crossover. Two complementary implementations of the hyperbolic Richardson-Gaudin family have been recently found in condensed matter and nuclear physics. The first implementation gives rise to a p-wave pairing describing a gas of spinless fermions in a 2D lattice with $p_x + i p_y$ pairing symmetry. Using this new tool we study the quantum phase diagram which unlike the case of s-wave pairing displays a third order quantum phase transition. We make use of the exact solution to characterize the quantum phase transition and the properties of the weak and strong paring phases. The exact wavefunction of the p-wave pairing Hamiltonian gives a beautiful insight into the nature of the quantum phase transition. Moreover, it suggests the existence of an experimentally accessible characteristic length scale, associated with the size of the Cooper pairs, that diverges at the transition point. 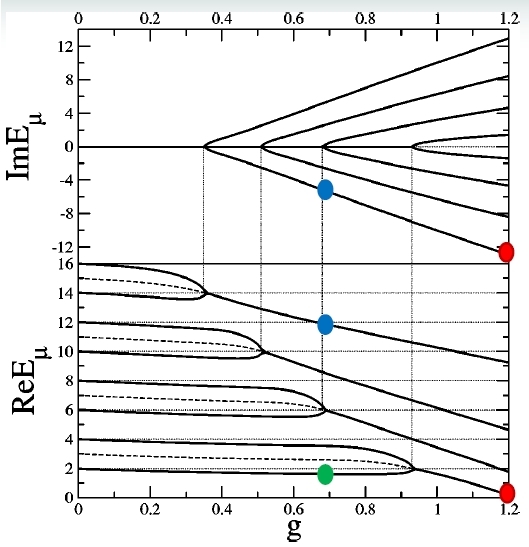 The second implementation leads to a separable pairing Hamiltonian with two free parameters that can be adjusted to give an excellent reproduction of the superfluid properties of heavy nuclei. As such it might be useful to treat other mesoscopic systems like superconducting grains or quantum dots.